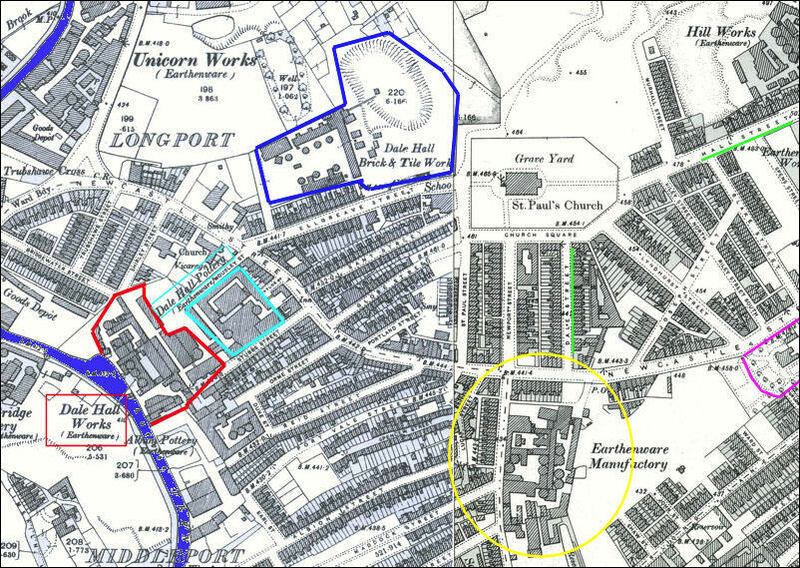 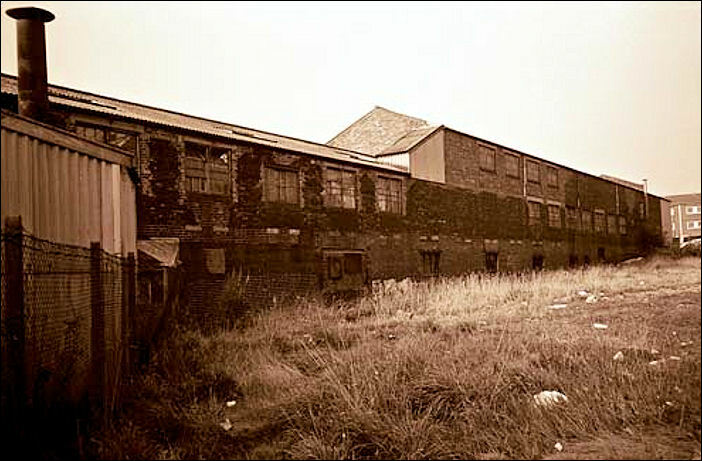 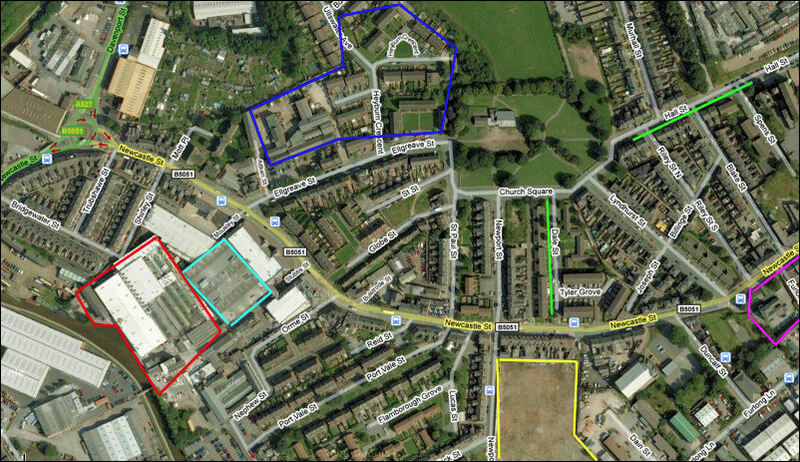 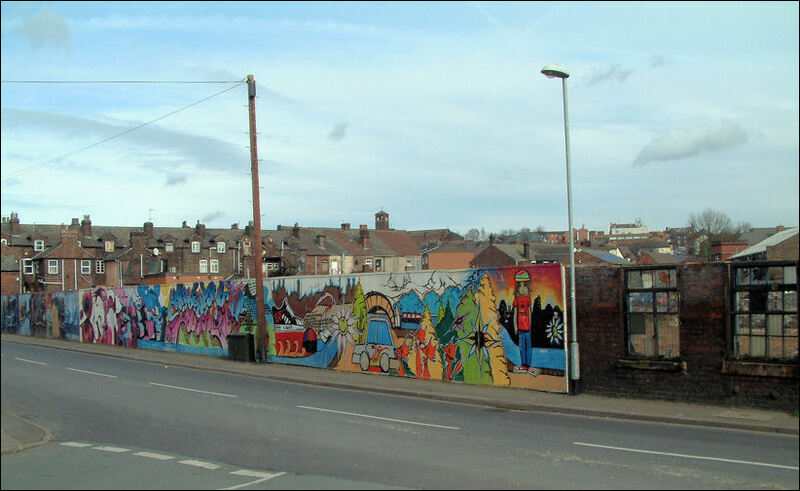 Wood & Sons works in Newport Lane was part of a large factory complex comprising of several buildings. 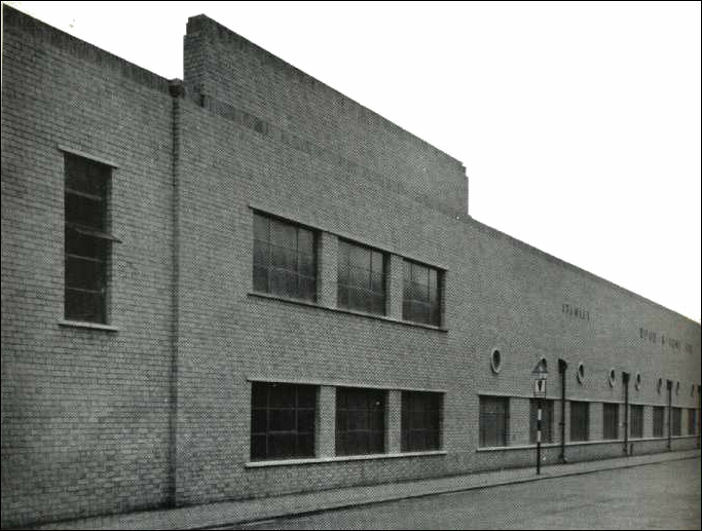 It was constructed between c.1890's - in 1945 it was redeveloped and a new factory built. 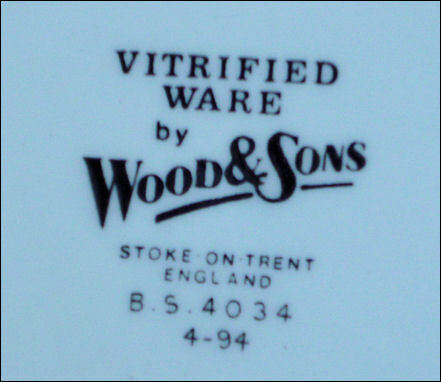 at the Stanley Pottery, where hotel ware is a specialty. 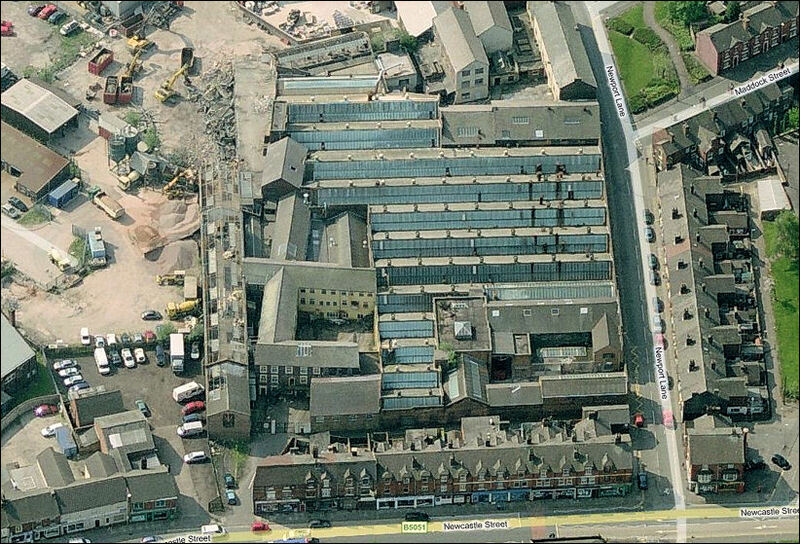 This factory has been entirely rebuilt and now uses tunnel biscuit and glost ovens." 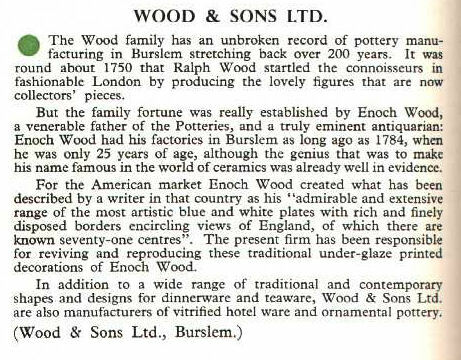 Wood & Sons - from a 1956 book 'British Potters and Pottery Today'.